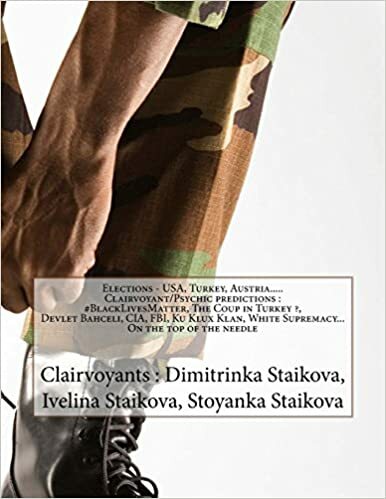 New Ebook : European and World Royal Families – Clairvoyant/Psychic Predictions about Europe and the World 2016-2019 The New World Order – Authors : Clairvoyants Dimitrinka Staikova, Ivelina Staikova and Stoyanka Staikova . Clairvoyant/Psychic predictions about : King Willem-Alexander ,Queen Margrethe 2 of Denmark, Meeting between Pope Francis and Sheikh Ahmed al-Tayeb (Grand Imam of Cairo’s Al-Azhar Mosque),Pope Francis, King Harald V of Norway,King Carl XVI Gustaf of Sweden, King Philippe of Belgium, Georg Friedrich Ferdinand, Prince of Prussia – (Georg Friedrich Ferdinand Prinz von Preußen – head of the House of Hohenzollern, the former ruling dynasty of the German Empire and of the Kingdom of Prussia), King Abdullah II bin Al-Hussein (King of Jordan) and Queen Rania Al-Abdullah of Jordan, Akihito – Emperor of Japan , When Queen Elizabeth II will be announced dead ? Internal conflicts between Prince Charles and Prince William. The future of the Crown of Great Britain…Brexit, Fra’ Matthew Festing (The Prince and Grand Master of the Sovereign Military Order of Malta) , King Felipe of Spain and more…. 1.King Willem-Alexander (The Dutch royal family – Netherlands) – Business 2016, When there will be in Holland – a military regime, dictatorship, terrorism? When the king withdraws by its business in Africa because of the revolution? – Clairvoyant/Psychic predictions by Clairvoyant House “Dimitrinka Staikova and daughters Stoyanka and Ivelina Staikova” – from Europe, Bulgaria, Varna – 21.05.2016, 10am. 2.Queen Margrethe 2 of Denmark (Queen of Denmark) – Health, The Future of Denmark about year 2016 and part of year 2017 – Strong Static electricity, invasion, oil, gold – problems with the Government – Clairvoyant reading/Psychic predictions by Clairvoyant House “Dimitrinka Staikova and daughters Stoyanka and Ivelina Staikova” – from Europe, Bulgaria, Varna – 23.05.2016, 4pm. 3.Meeting between Pope Francis and Sheikh Ahmed al-Tayeb (Grand Imam of Cairo’s Al-Azhar Mosque) – Conversations about new discoveries, mutual aid, new object between two pyramids – extraterrestrial machines (devices) – Clairvoyant/Psychic predictions by Clairvoyant House “Dimitrinka Staikova and daughters Stoyanka and Ivelina Staikova” – from Europe, Bulgaria, Varna – 24.05.2016, 2pm. 4.Pope Francis – It is found a closed object with military purpose between two pyramids in Egypt – – Clairvoyant/Psychic predictions by Clairvoyant House “Dimitrinka Staikova and daughters Stoyanka and Ivelina Staikova” – from Europe, Bulgaria, Varna – 25.05.2016, 3pm. 5.King Harald V of Norway (The Royal House of Norway) – New Unions with old friends, Space invasion, The Royal Treasury, The future of Norway – Clairvoyant reading/Psychic predictions by Clairvoyant House “Dimitrinka Staikova and daughters Stoyanka and Ivelina Staikova” -from Europe, Bulgaria, Varna – May 26, 2016 ,2pm. 6.King Carl XVI Gustaf of Sweden (King of Sweden) – Exceptional intelligence, murderous sensitivity and undoubted leader of his nation and in the business – with a gene of alliens, Health, The Future of Sweden and territorial invasions – Clairvoyant reading/Psychic predictions by Clairvoyant House “Dimitrinka Staikova and daughters Stoyanka and Ivelina Staikova” -from Europe, Bulgaria, Varna – May 27, 2016 ,5pm. 7.King Philippe of Belgium (The King of Belgium) – Health, Business, New Experiments with people and the pharmaceutical industry, Elections, War – Clairvoyant reading/Psychic predictions by Clairvoyant House “Dimitrinka Staikova and daughters Stoyanka and Ivelina Staikova” -from Europe, Bulgaria, Varna – May 29, 2016 ,9am. by Clairvoyant House “Dimitrinka Staikova and daughters Stoyanka and Ivelina Staikova” -from Europe, Bulgaria, Varna – May 30, 2016 ,4pm. 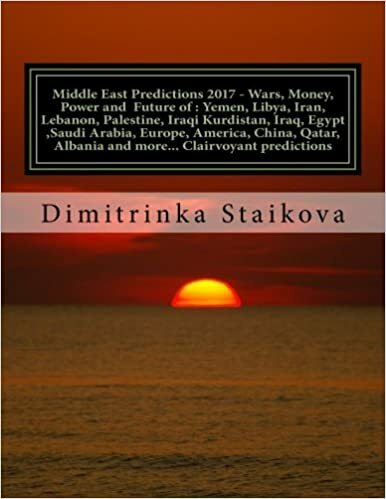 9.King Abdullah II bin Al-Hussein (King of Jordan) and Queen Rania Al-Abdullah of Jordan – Clairvoyant/Psychic predictions about year 2016 : The gene of the flying people, Business, Health, Diamonds – Clairvoyant reading/Psychic predictions by Clairvoyant House ” Dimitrinka Staikova and daughters Stoyanka and Ivelina Staikova” – from Europe, Bulgaria, Varna – June 1, 2016, 1pm. 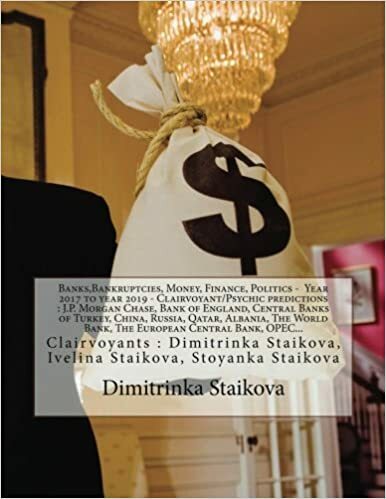 10.Akihito – Emperor of Japan – Clairvoyant/Psychic predictions about the Emperor and Japan, about the business, war, contracts, awakening of the human gene – space gene connected with the japanese race, Energy Contracts, Health – Clairvoyant reading/Psychic predictions by Clairvoyant House ” Dimitrinka Staikova and daughters Stoyanka and Ivelina Staikova” – from Europe, Bulgaria, Varna – June 2, 2016, 2pm. 11.When Queen Elizabeth II will be announced dead ? Internal conflicts between Prince Charles and Prince William. The future of the Crown of Great Britain…Brexit – Clairvoyant reading/Psychic predictions by Clairvoyant House ” Dimitrinka Staikova and daughters Stoyanka and Ivelina Staikova” – from Europe, Bulgaria, Varna – June 3, 2016, 3pm. 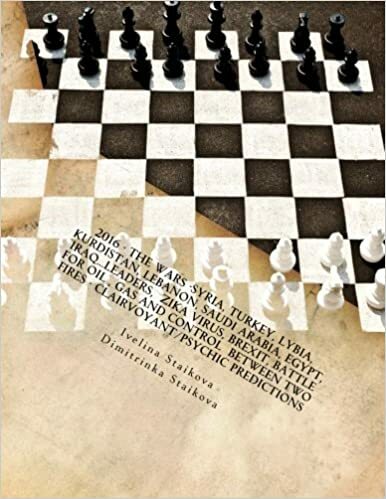 12.Fra’ Matthew Festing (The Prince and Grand Master of the Sovereign Military Order of Malta) – The grave of Jesus Christ in Malta, the future of the Military Order of Malta, Alien technologies, Ancient library, Crypts in Malta – Clairvoyant/Psychic predictions year 2016 – 2019 by Clairvoyant House ” Dimitrinka Staikova and daughters Stoyanka and Ivelina Staikova” – from Europe, Bulgaria, Varna – June 4, 2016, 3pm. 13.King Felipe of Spain – Negotiations between two parties (groupings) fails before the Elections. 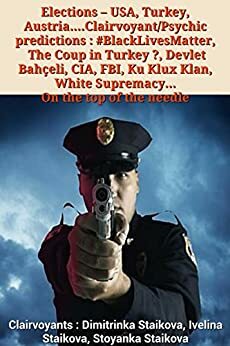 Internal war. The future of Spain – procedures about the split (separation) of the independence of one region (area). Health Diagnosis of the King of Spain – Clairvoyant reading/Psychic predictions by Clairvoyant House “Dimitrinka Staikova and daughters Stoyanka and Ivelina Staikova” – from Europe, Bulgaria, Varna – May 4, 2016, 10 am. 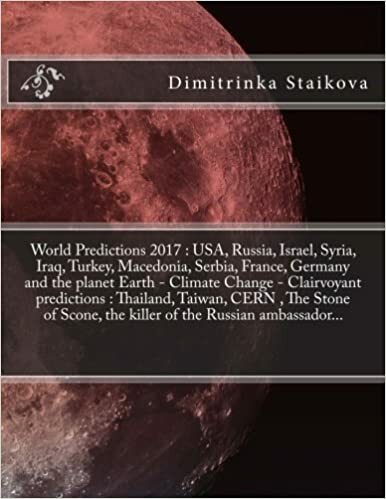 14.31.07.2014-World Predictions about Troubles,Diseases and Space Disasters by Clairvoyant House “Dimitrinka Staikova and daughters Stoyanka and Ivelina Staikova”-from Europe,Bulgaria,Varna-31.07.2014,6pm. 15.King Salman of Saudi Arabia (Salman bin Abdulaziz al Saud) – Clairvoyant Health Diagnosis and contract for nuclear energetics – Clairvoyant /Psychic Predictions by Clairvoyant House ” Dimitrinka Staikova and daughters Stoyanka and Ivelina Staikova” – from Europe,Bulgaria,Varna -11.04.2015,1pm. 16.Mohammad bin Salman al Saud (the Minister of Defence of Saudi Arabia) – Clairvoyant Health Diagnosis and conquer of Yemen and Oman -2017 – Clairvoyant/Psychic predictions by Clairvoyant House ” Dimitrinka Staikova and daughters Stoyanka and Ivelina Staikova” – from Europe,Bulgaria,Varna -11.04.2015,3pm. 17.Queen Elizabeth II – The queen of England -Clairvoyant Health Diagnosis “Malignant disease – July 2015 is important month for the king of England! Who is the king of England? -Clairvoyant/Psychic predictions by Clairvoyant House “Dimitrinka Staikova and daughters Stoyanka and Ivelina Staikova” -from Europe,Bulgaria,Varna – 13.04.2015,5pm. 18.The Holy Lance (The Holy Spear,The Spear of Destiny or the Lance of Longinus – is the name given to the lance that pierced the side of Jesus as he hung on the Cross) – “The Original can not be seen nowhere,except by the chosen people” – Clairvoyant/Psychic Predictions by Clairvoyant House “Dimitrinka Staikova and daughters Stoyanka and Ivelina Staikova” – from Europe,Bulgaria,Varna – August 19,2015,2pm. 19.Imperial Regalia – Imperial Crown (Reichkrone) of the Holy Roman Empire (Displayed in Hofburg Palace in Vienna) – “The Ceremony and the ritual will be repeated with the appearance of aliens on the Earth” – Clairvoyant/Psychic Predictions by Clairvoyant House “Dimitrinka Staikova and daughters Stoyanka and Ivelina Staikova” – from Europe,Bulgaria,Varna – August 19,2015,4pm. 20.Avalon – location by air. King Arthur and his revival. Excalibur will arrive on the Eastern shore to announce to England – the moment of the wakening of King Arthur – threatened by disappearance… – Clairvoyant/Psychic predictions by Clairvoyant House “Dimitrinka Staikova and daughters Stoyanka and Ivelina Staikova” – from Europe, Bulgaria, Varna – March 3, 2016, 10 am. 21.Thule (Mythological island with uknown location, Nazi “Aryan” Thule) – It is already found near Cuba in the Atlantic Ocean – Who are the aliens? How do they look like? Which pyramid will be most fertile for the archaeologists? Where did the alien technology came from – a ball with big power who later belongs to Alexander the Great ? 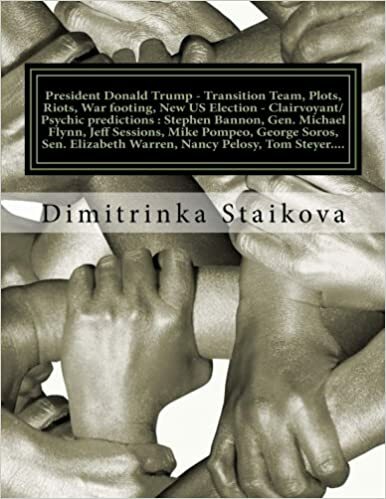 – Clairvoyant/Psychic predictions by Clairvoyant House “Dimitrinka Staikova and daughters Stoyanka and Ivelina Staikova” – from Europe, Bulgaria, Varna – March 4, 2016, 9 am. 22.The battle on the South Pole -1947 -through the eyes of U.S. Rear Admiral Richard E. Bird (Operations leader of the U.S. Naval mission in the Antarctic – “Operation Highjump”) – He saw an area like a second Thule island – Clairvoyant/Psychic predictions by Clairvoyant House “Dimitrinka Staikova and daughters Stoyanka and Ivelina Staikova” – from Europe, Bulgaria, Varna – March 5, 2016, 9am. 23.Clairvoyant /Psychic reading to a Photograph taken by the ESSA-7 Sattelite on 23 November 1968 – The hole at the North Pole can be clearly seen – By Clairvoyant House “Dimitrinka Staikova and daughters Stoyanka and Ivelina Staikova” – from Europe, Bulgaria, Varna – March 5,2016 ,10 am. 24.Holy Grail (Holy Chalice) – How does it looks like? – Greatness and Immortality – Everything about its exterior, treatment, contents, location – Clairvoyant/Psychic predictions by Clairvoyant House “Dimitrinka Staikova and daughters Stoyanka and Ivelina Staikova”-from Europe, Bulgaria, Varna -March 12, 2016, 9 am. 25.The ruins of the temple of Queen of Sheba Balqis (the wife of king Solomon).Where are their bones and the diamond mine of king Solomon? – Clairvoyant/psychic reading by Clairvoyant House ” Dimitrinka Staikova and daughters Stoyanka and Ivelina Staikova”-from Europe,Bulgaria,Varna-30.10.2014,4pm. 26.Prince Alwaleed Bin Talal Alsaud (Saudi Arabia) – “The future of Saudi Arabia and the Middle East seen through his eyes in year 2016” – Clairvoyant/Psychic Predictions by Clairvoyant House “Dimitrinka Staikova and Daughters Stoyanka and Ivelina Staikova” – from Europe,Bulgaria, Varna – 31.01.2016,9am. 27.The meeting of Pope Francis and Patriarch Kirill in Cuba -Febr.2016 – “What is the deal between Pope Francis and Patriarch Kirill that they were discussing? 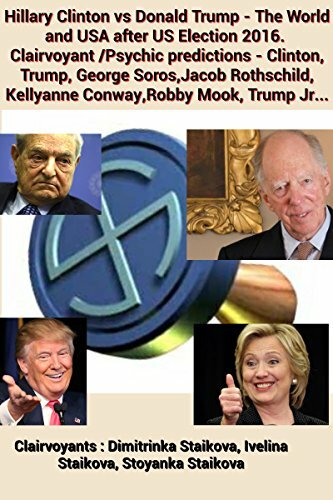 Will they transfer and what part of the Catholic money from Russia to Rome ? “- Clairvoyant/Psychic Reading by Clairvoyant House ” Dimitrinka Staikova and daughters Stoyanka and Ivelina Staikova” – from Europe, Bulgaria, Varna – 13.02.2016, 9am. 28.David Cameron (Prime Minister of Great Britain) – ” The choice whether Great Britain to stay in the European Union opens “The Pandora’s box”. September and October 2016 are bad days for the UK Government. 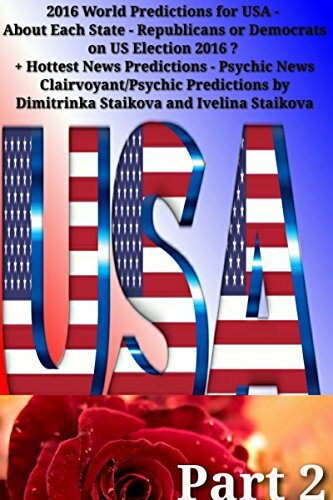 World Predictions about Great Britain 2015″ – Clairvoyant/Psychic Predictions by Clairvoyant House ” Dimitrinka Staikova and daughters Stoyanka and Ivelina Staikova” -from Europe, Bulgaria, Varna – Febr.26,2016,9am. 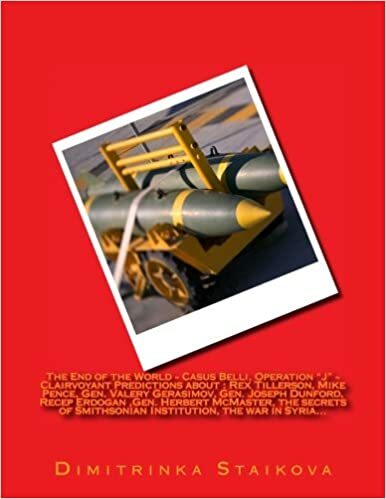 This entry was posted in Uncategorized and tagged "Operation Highjump", air campaigns, Akihito, Al-Azhar Mosque, alien technologies, Ancient library, Avalon, ‪# ‎KingOfSweden‬, ‪#‎900years‬, ‪#‎atlèticodemadrid‬, ‪#‎belgianroyalfamily‬, ‪#‎belgianroyals‬, ‪#‎Bilderberg2016‬, ‪#‎Bilderberg‬, ‪#‎Brexit‬, ‪#‎Brussels‬, ‪#‎Cardinal‬, ‪#‎Commerzbank‬, ‪#‎Copenhagen‬, ‪#‎Coronaespañola‬, ‪#‎crown‬, ‪#‎CrownPrincessMetteMarit‬, ‪#‎danishqueen‬, ‪#‎Danmark‬, ‪#‎daqueen‬, ‪#‎Denmark‬, ‪#‎denmarkpride‬, ‪#‎Dresden‬, ‪#‎dronningen‬, ‪#‎dronningmargrethe‬, ‪#‎elmundo‬, ‪#‎ElRey‬, ‪#‎Empire‬, ‪#‎España‬, ‪#‎EU‬, ‪#‎EURO‬ #Belgium, ‪#‎FelipeVI‬, ‪#‎G7‬, ‪#‎Großbritanniens‬, ‪#‎hermajesty‬, ‪#‎holyfamilyhospital‬, ‪#‎InfantaCristina‬, ‪#‎inmijnjongejaren‬, ‪#‎JuanCarlosI‬, ‪#‎kingandqueenofspain‬, ‪#‎King‬, ‪#‎KingCarlXVIGustav‬, ‪#‎KingFelipe‬, ‪#‎KingHaraldV‬, ‪#‎KingofBelgium‬, ‪#‎KingOfSpain‬, ‪#‎kingphilippe‬, ‪#‎knightsofmalta‬, ‪#‎Konferenz‬, ‪#‎KoningFilip‬, ‪#‎kungcarlgustafxvi‬, ‪#‎KungCarlXVIGustav‬, ‪#‎Kungen70‬, ‪#‎Kungen‬, ‪#‎Letizia‬, ‪#‎List‬, ‪#‎longlivethequeen‬, ‪#‎lourdes57‬, ‪#‎Lourdes‬, ‪#‎madeindenmark‬, ‪#‎madrid‬, ‪#‎magrethe‬, ‪#‎malta‬, ‪#‎Malteser‬, ‪#‎malteserinternational‬, ‪#‎manifestacion‬, ‪#‎monarchy‬, ‪#‎Norway‬, ‪#‎OilPrices‬, ‪#‎ONU‬, ‪#‎orderofmalta‬, ‪#‎palace‬, ‪#‎philanthropy‬, ‪#‎pilgrimage‬, ‪#‎pilgrim‬, ‪#‎Placeroyale‬, ‪#‎politicalandcomercialrelationship‬, ‪#‎powerwoman‬, ‪#‎Präsidentschaftswahlen‬, ‪#‎princephilipe‬, ‪#‎princesses‬, ‪#‎PrinceSverreMagnus‬, ‪#‎protests‬, ‪#‎Queen‬, ‪#‎QueenMargrethe‬, ‪#‎queenofdenmark‬, ‪#‎QueenSonja‬, ‪#‎QuennOfSweden‬, ‪#‎RefugeeCrisis‬, ‪#‎ReinodeEspaña‬, ‪#‎ReyFelipe‬, ‪#‎RoiPhilippe‬, ‪#‎rome‬, ‪#‎Royal‬, ‪#‎RoyalFamilies‬, ‪#‎royalpalace‬, ‪#‎Royalty‬, ‪#‎RoyalVisit‬, ‪#‎salut‬, ‪#‎sheikh‬, ‪#‎SpanishRoyals‬ ‪#‎kingofnorway‬, ‪#‎stockholm‬, ‪#‎Sverige‬, ‪#‎Sweden‬, ‪#‎swedishroyals‬, ‪#‎thekingiscoming‬, ‪#‎theRoyalFamily‬, ‪#‎TheRoyals‬, ‪#‎Trump‬, Bilderberg, Bilderberg Conference, Bilderberg group, Brexit, business, Business 2016, business in Africa, Cairo, China, clairvoyant, Clairvoyant Health Diagnosis, clairvoyant reading, contracts, Count of Castries, Crypts in Malta, David Cameron, Denmark, devices, diamonds, dictatorship, disappearance, diseases, Dresden, Egypt, Election in Spain, elections, Emperor, Emperor of Japan, Energy Contracts, England, ESSA-7 Sattelite, Europe, Excalibur, extraterrestrial machines, Fra' Matthew Festing, geo-politics of energy, Georg Friedrich Ferdinand, Georg Friedrich Ferdinand Prinz von Preußen, German Empire, Germany, global elites, Gold, Grand Imam, Greatness, head of the House of Hohenzollern, health, Henri de Castries, Hofburg Palace in Vienna, Holland, Holy Chalice, Holy Grail, Holy Roman Empire, Immortality, Imperial Crown, Imperial Regalia, Internal war, invasion, japan, japanese race, King Abdullah II bin Al-Hussein, King Arthur, King Arthur and his revival, King Carl XVI Gustaf of Sweden, King Felipe of Spain, King Harald V of Norway, King of Jordan, King of Sweden, King Philippe of Belgium, King Salman of Saudi Arabia, King Willem-Alexander, Libération, Manuel Valls (Prime Minister of France), Middle East, migration, military regime, Missing EgyptAir flight MS804 – Where is the plane, Mohammad bin Salman al Saud, money cargo, mutual aid, Mythological island, Nazi "Aryan" Thule, nerves, Netherlands, new discoveries, new object between two pyramids, New Unions, oil, Patriarch Kirill, pharmaceutical industry, Pope Francis, Predictions, Prime Minister of Great Britain, Prince Alwaleed Bin Talal Alsaud, Prince Charles, Prince of Prussia, prince William, Problems with Crashed plane of EgyptAir MS804 of Bernard Bajolet (Head of the Directorate – General for External Security – France) May 2016, problems with the Government, Prussia, psychic, psychic predictions, psychic reading, Pyramids, Queen Elizabeth II, Queen Margrethe 2 of Denmark, Queen of Denmark, Queen of Sheba Balqis, Queen Rania Al-Abdullah of Jordan, reasons, Reichkrone, revolution, rocket launchers, Russia, Salman bin Abdulaziz al Saud, Saudi Arabia, Sheikh Ahmed al-Tayeb, Space Disasters, Space invasion, Spain, Static electricity, Sweden, Syria, territorial invasions, terrorism, The battle on the South Pole, the death of Prince Rogers Nelson, the diamond mine of king Solomon, The Dutch royal family, the Emperor, The future, The Future of Denmark, The future of Norway, The future of Spain, The Future of Sweden, The future of the Crown of Great Britain, the future of the Military Order of Malta, The grave of Jesus Christ in Malta, The hole at the North Pole, The Holy Lance, The Holy Spear, The King of Belgium, the Kingdom of Prussia, the Lance of Longinus, the Middle East, the Minister of Defence of Saudi Arabia, The Prince and Grand Master of the Sovereign Military Order of Malta, the queen of england, The Royal House of Norway, The Royal Treasury, The Spear of Destiny, the wife of king Solomon, Thule, Troubles, Turkish artillery, U.S. 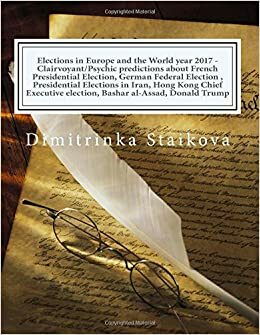 Naval mission in the Antarctic, U.S. Rear Admiral Richard E. Bird, U.S.-led coalition, war, warplanes, world predictions, World Predictions about Great Britain 2016 on June 9, 2016 by Clairvoyant Dimitrinka Staikova.